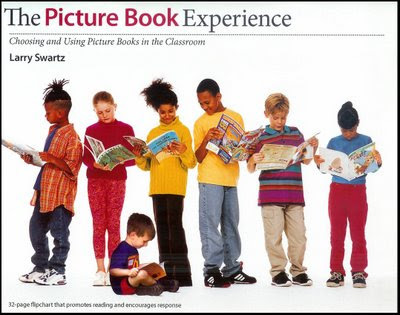 The folks at Stenhouse Publishing recently sent me a copy of Larry Swartz's The Picture Book Experience: Choosing and Using Picture Books in the Classroom , a 32-page flipchart on choosing and using picture books in the classroom. If you don't know Stenhouse, I recommend you make their acquaintance. This publisher engages in the nearly unheard-of practice of publishing full books online, in pdf format, for educators to preview before purchasing. While this seems incredibly foolhardy, I'll admit that I've bought several books after previewing them in this way. The previewing experience showed me exactly what I was getting, and in many cases turned me on to a book which I might have otherwise passed by. (Other publishers should take a page from the Stenhouse playbook). Now I have to admit, I was at first pretty skeptical about this 32-page book. How much useful information could possibly be contained in such a small publication? A lot, it turns out. This concise little booklet very quickly gets to the core of what the "experience" of picture books is about by asking readers to inventory their own feelings about picture books. From there it moves to picture book classifications, topics, and "best of" lists. For the novice, this is all good stuff. Then Swartz begins discussing the process of sharing picture books by creating a purposeful plan for the experience in the classroom. He provides questions and organizational structures for before, during, and after the reading, including what he calls "30 Ways of Working Inside and Outside Picture Books." The final pages present Class Events (culminating activities adaptable for any grade level) and blackline masters relating to activities discussed previously in the booklet. Whether you're looking for a way to get your toe in the water or you're ready to jump in and totally commit, then The Picture Book Experience is a good start. And while at Stenhouse, be sure to browse some of their other titles. Need a recommendation? 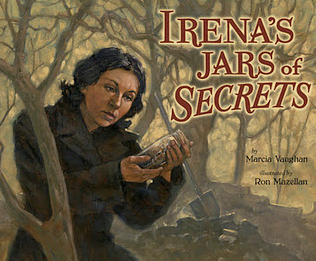 Have a book that's a favorite? Drop me a line.